American Pacific Tax (AP) is a leading US accounting firm in Hong Kong helping clients find simple solutions to their complex US tax situation. We specialize in serving clients in Hong Kong, China, and Macau and Asia. Find out more about the type of services we offer or contact us today to schedule an appointment with a knowledgeable tax advisor. Christopher brings a strong financial background to American Pacific Tax. He has over 10 years of US taxation and business financial management experience. Christopher is a Certified Public Accountant (CPA) in the State of Hawaii, USA. Christopher started his career at Grant Thornton LLP, one of the largest international public accounting firms. 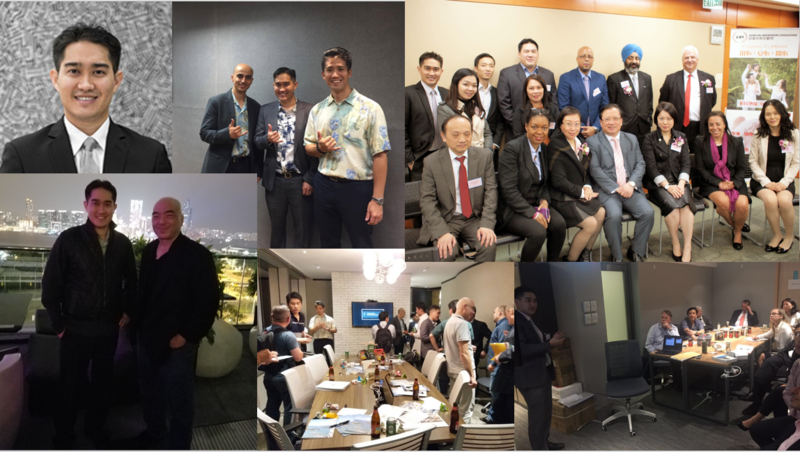 He has also gained valuable tax compliance experience at one of Hawaii’s leading accounting firms ECA LLP where he handled high net worth individual clients and businesses. Christopher graduated with a Bachelors of Business Administration in Accounting and Marketing from the University of Hawaii at Manoa (USA). During his professional career, Christopher prepared over 1,000 individual, corporate and partnership tax returns allowing him to gain valuable insight into the financial needs of individuals and companies. His strong financial background and prior experience have prepared him for handling the diverse client needs for individuals living abroad. 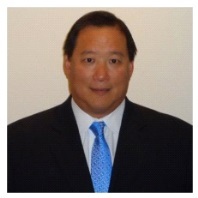 Kurt Kawafuchi, a licensed tax attorney and CPA, has a professional career spanning over 30 years. 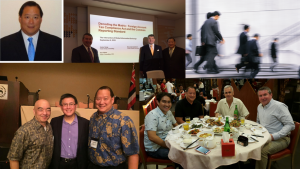 Kurt is the current Chair of the Hawaii Council of Revenues and was the former Director of Taxation for the State of Hawaii USA, i.e., state tax commissioner responsible for all aspects of state tax administration. His professional experience includes a Principal (i.e., Partner) at the Beverly Hills, California law firm of Hochman, Salkin, Rettig, Toscher & Perez, P.C., through another major law firm and a Big- 4 international CPA firm as well as a Trial Attorney at the U.S. Department of Justice Tax Division, Washington, DC, and Supervising Attorney, Tax & Charities Division, State of Hawaii Department of Attorney General. At the Hochman law firm and in his prior experience, Kurt specialized in representing clients in federal and state civil and criminal tax controversies and litigation, and advising clients on international, federal, and state tax planning, international and domestic business and estate planning and real estate tax planning. 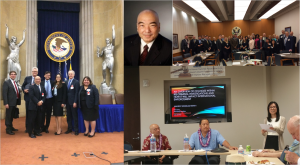 His leadership position includes President of the Western States Association of Tax Administrators (WSATA), Chair of the California Bar Tax Section DC Delegation, Chair of the Hawaii State Bar Tax Section and HSCPA Tax Committee. He was voted Outstanding CPA by the AICPA and HSCPA (Government) in 2008, and also received the President’s Award by the HSCPA. Kurt has spoken at national taxation conferences and wealth transfer institutes including the New York University SALT and Summer Taxation Institutes, UCLA Tax Controversy Institute, State Bar of California Tax Section Annual Meeting and Estate and Gift Taxation Conferences, and the Hawaii Tax Institute. He has taught many taxation, law, business, and estate planning courses at the University of Hawaii School of Law and Graduate School of Accounting and Hawaii Pacific University. Kurt is a Fellow of the American College of Tax Counsel, a Certified Specialist, Taxation Law, State Bar of California, and earned his LL.M. in Taxation from Georgetown University Law Center. 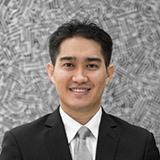 Victor Song currently assists clients on finding solutions for international tax issues relating to: compliance, due diligence, FATCA and Voluntary Disclosure Programs. Victor was Chief of one of the Internal Revenue Service’s leading departments. His 30+ years with the IRS provides invaluable expertise to assist clients. Most recently, Victor was Executive Vice President for Compliance at Samsung Electronics America, where he managed all areas of compliance for Canada, North America, and parts of Mexico including: trade/commerce, fair-trade, intellectual property, information protection, product liability, employee relations, Foreign Corrupt Practices Act (FCPA), and Office of Foreign Assets control (OFAC). Victor’s experience with the IRS and Samsung truly enables him to consult clients and find the best solutions to their complex tax issues.